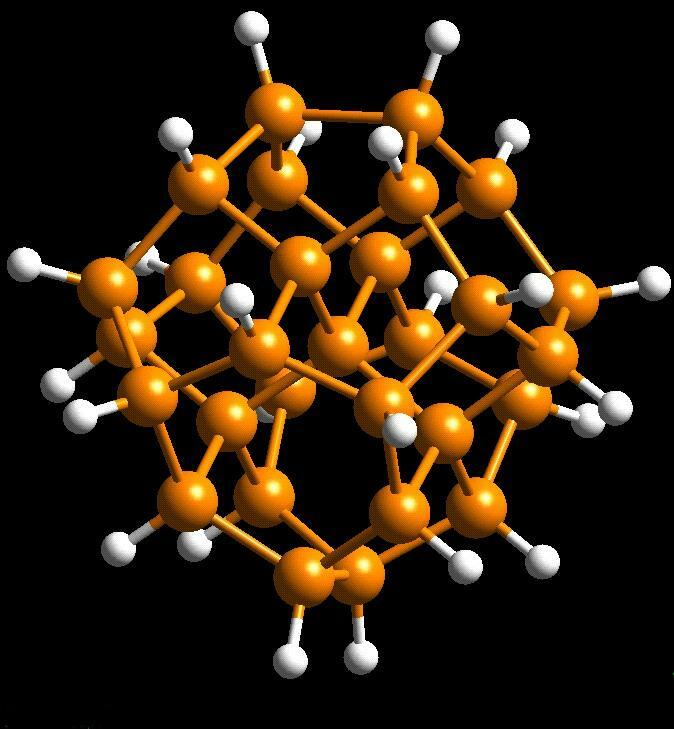 Nanoclusters are promising new materials because they exhibit a range of unique properties which are different from their molecular or bulk counterparts. For example, this Si29H24 ~ 1 nm nanocrystal shows ultrabright luminescence in the blue part of the optical spectrum. Similar systems are being probed for new optical, electronic and biomedical applications. We calculate, analyze and predict their atomic and electronic structures, optical and other properties and compare the results with experiments. This research is done in collaboration with Prof. M. Nayfeh at the University of Illinois at Urbana-Champaign.